Klaus Froehlich: "Our customers will decide our mix, but because fwd models are mainly focused on Europe, rwd volumes will be dominant for a very long time." 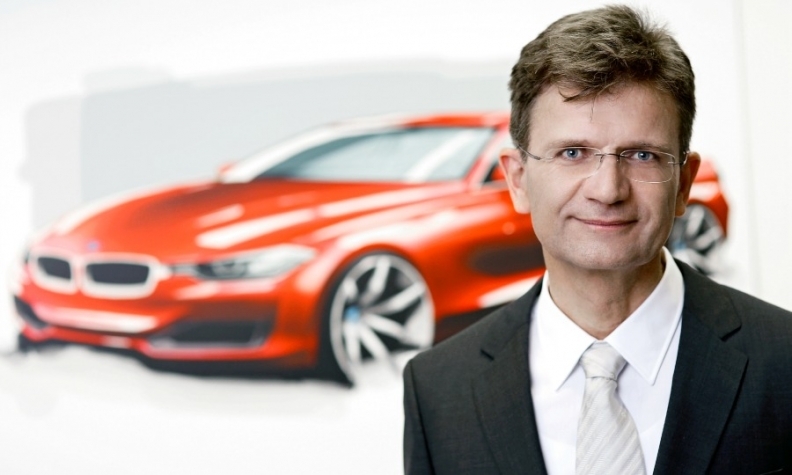 Klaus Froehlich’s recent promotion to head of r&d for the BMW Group comes as the automaker shakes up its powertrain and platform lineups. Froehlich, who replaced Herbert Diess in December, discussed the group’s evolving platform and engine strategy with Automotive News Europe Editor Luca Ciferri and Germany Correspondent Christiaan Hetzner. BMW just introduced its second front-wheel-drive model, the 2-series Grand Tourer. What will be your fwd/rwd mix by 2020? Our customers will decide our mix, but because fwd models are mainly focused on Europe, rwd volumes will be dominant for a very long time. Will BMW switch the next 1 series to fwd to reduce CO2 emissions? The CO2 difference between rwd and fwd is minimal. What is more relevant is that customers want to have a sportier car. That will drive the decision we make at the end of the year. We have excellent architectures for both fwd and rwd, so I’m not worried. The next X1 will be fwd, which will result in more interior space. Is there another big advantage? Better proportions. It will look a bit bolder because of the shorter engine hood. The new X1 will really show that we can make fantastic cars with our fwd/four-wheel-drive architecture. Is 4600mm the maximum length of vehicles based on this architecture? At 4556mm, the 2-series Grand Tourer is now the longest application. We have some room to make smaller cars, lower cars and so on. MAIN CHALLENGE: Making sure the essence of BMW's “sheer driving pleasure” is conveyed to customers regardless of which platform or powertrain they chose. Will Mini use this new architecture to underpin what reports have called a 3300mm-long mini Mini? The smallest car on this architecture is the current Mini three-door and I think the idea of having an even smaller car fits the brand. At the same time, to keep the length within 3.3 meters means cutting overhangs and results in a very small back seat. I do not know how much customer demand there would be for such a car, therefore I am not enthusiastic about a mini Mini. What will BMW’s powertrain mix look like in 2021 once the EU’s tougher emission rules take full effect? Our new gasoline and diesel units are part of a modular family so we can easily adjust output to market and customer requirements. Europeans like diesels and are not particularly keen on alternative drivetrains. Diesel will continue to play a dominant role in Europe as one of the enablers to achieve lower CO2 emissions. Some markets, such as the Netherlands and Norway, have done a good job encouraging electrification, but I don’t see any significant momentum boosting electrified vehicles Europewide. As an engineer, what is the best technical solution to reduce CO2? Maintaining BMW’s sheer driving pleasure is key because our cars are bought by customers not regulators. When we created the i subbrand we aimed to defy the common perception that electrified powertrains were unemotional. That’s why the i8 [performance coupe] was picked to be our first plug-in hybrid before offering this type of powertrain on the X5, 3 series and 2 series. Because responsiveness and directness are typical for BMW, we made sure our electric drivetrains could achieve this. The difficulty at the moment is battery power density. I personally don’t see a 7 series as a pure battery-powered vehicle. Although some other companies do models like that, I think electric powertrains need more battery power density before they are ready for larger cars. When you have 500 kilograms of batteries in a car, you feel them. Weight for me is a key factor. Will BMW offer plug-in diesels? When we look at the overall volumes of plug-ins worldwide, 95 percent are sold in gasoline markets. So at the moment it really doesn’t make sense to offer a diesel plug-in to a European customer who is not prepared to pay thousands of euros for such a solution. You have a partnership with Toyota on fuel cells. Toyota is about to launch the Mirai, its first model based on this technology. Was BMW left behind?